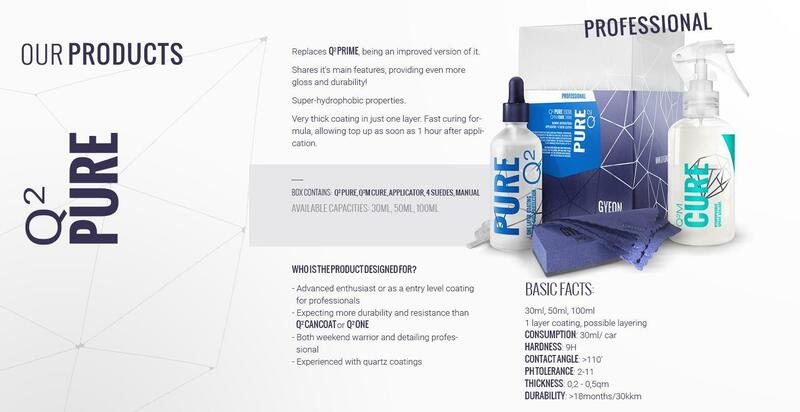 Gyeon Pure is a ceramic paint coating, designed to protect your paint with high durability and hydrophobic qualities! Applying a wax or sealant every few weeks gives you a great shine but requires frequent re-applications. Coatings, not only can be as easy as a wax or sealant to apply, but they will be much more durable, allowing you to protect your car for longer! Gyeon Pure features advanced SiO2-based technology that bonds to your paint, creating an extremely durable and incredibly hydrophobic layer of protection. This protective layer will enhance the way your paint looks and really make your paint pop. After application, Pure has a self-cleaning ability that means that less contamination will stick to the surface. This allows you to go longer in-between washes and when you do wash, contamination will be removed with less effort. Pick up the Gyeon Pure today and protect your paint from the elements in one easy to use product! 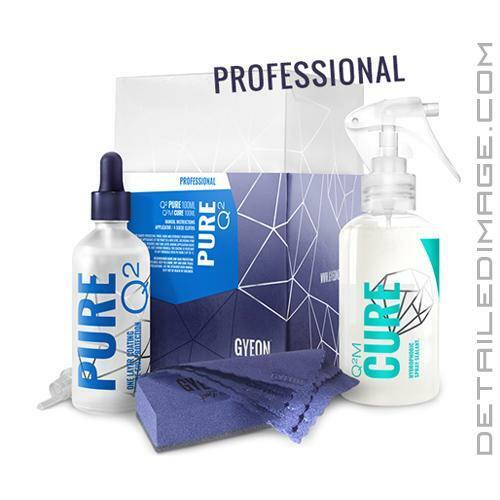 For in-depth instructions on how to use Gyeon Pure check out the article How To: Gyeon Quartz Q2 Pure by Jeff McEachran, the national brand manager at Gyeon USA. Pure quartz protection. Thick, hard and extremely hydrophobic. Brings the appearance of the paint to a new level, delivering pure candy gloss. Requires only one layer, making application quick and easy. Fast curing formula, the coating is resistant to any chemicals with pH from 2 up to 11.